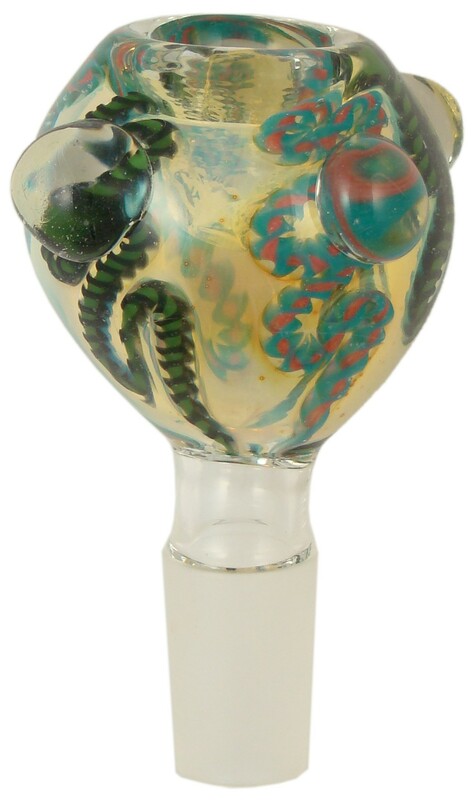 This glass on glass tobacco hookah bowl features a 14mm ground glass joint, marbles around the bowl, and latty work throughout the bowl. It is fumed with silver and/or gold to give it it's color changing properties. Colors and designs may vary.